OEM coatings can affect operations in surprising, sometimes counter-intuitive ways. Sometimes, the proper OEM coating can be the answer for solving common production bottlenecks such as cure times, inefficient production processes and VOC-compliance. Often, the right coatings expert can be instrumental to resolving these issues in unexpected ways. Production time is a pain point we encounter with manufacturers and product finishers as diverse as the OEM market itself. How can we produce equipment quicker, so we can pack it, ship it and sell it more quickly? Call us biased, but we think the right coating can play a critical role in making this happen. Finding a coating where the drying process can be catalyzed by a chemical reaction, as opposed to air-dry solvent-based coatings, can end up delivering huge returns by slashing cure times. Over the long run, small increases in efficiency from reduced drying times easily trump a higher cost-per-gallon coating by cutting throughput time. Many such solutions can be recommended to decrease throughput time. Some of them will be unique to each manufacturing operation, and can only be spotted by a careful inspection of facilities and operations. In some cases, for instance, the type of steel used in production can reduce prep time and speed up overall production. If the difference in price between hot and cold-rolled steel is less than can be gained from less prep time, then it may be a smart decision to spend more for the cold-rolled steel. Anti-weld spatter coatings can shave time that would otherwise be spent grinding a steel substrate smooth before a coating is applied. Sometimes, a different coating that requires a commercial blast instead of a near-white blast, but otherwise has similar properties, can end up delivering big returns. These are just a few examples where a coatings expert may be able to recommend process efficiencies for manufacturers that have relatively little to do with the coatings products themselves. But there are certain other efficiencies that can be gained by the right OEM coating. Faster curing coatings and high solids, low-VOC products are two promising areas of opportunity. For more on what manufacturers should expect from their coatings, download the OEM’s Guide to Industrial Coatings below. Production time is a pain point we encounter with manufacturers and product finishers as diverse as the OEM market itself. How can we produce equipment quicker, so we can pack it, ship it and sell it more quickly? Well, paint cure times play a big part in manufacturing speeds. So whether you’re using a water- or solvent-based OEM coating, it’s important for manufacturers to choose one with cure times designed to meet their needs. Alkyd coatings are veteran materials in the industrial coatings industry. Though they’ve been around for some time, in some situations, Alkyds may still be the best product for the job. Advancements and hybridizations in alkyd formulas have resurrected these products that were once considered old-fashioned. Alkyd formulations have been modified to be more environmentally friendly, for instance. The three main draws of Alkyd paints have traditionally been their single-component packaging, relatively low cost and the familiarity with these products among manufacturers who have been using them since they had newly come to market. Perhaps more importantly though, newer formulations of water-based alkyds show real promise as quick drying, low-VOC products. Certain resins have been proven to speed up the drying process for example, allowing refurbished shipping containers to be stacked only a few hours after they had been coated. This represents a real advancement in the usefulness of an ultra-low VOC alternative to other solvent-based products. Production is at the mercy of the rate at which the solvent evaporates. This can be a problem when it affects the output of a manufacturing facility. Manufacturers may want to make the switch to a urethane, where paint cure times are drastically reduced, since drying with these products is dependent on a chemical reaction that can be catalyzed from the outside. As productions speeds increase, the increased expenditure on a higher cost-per-gallon product is eventually narrowed until the lower throughput time actually leads to cost savings. Newer formulations of urethane coatings and epoxy coatings are helping to address inefficiencies. Specific formulations— those that cut the amount of harmful byproducts released into the atmosphere, and reduce the amount of product that’s needed by going farther with less—represent great opportunities for original equipment manufacturers and product finishers to increase production while cutting coatings costs. These are just a few examples of how the right coating can help manufacturers achieve the results that are important to them. For more on choosing the right OEM coatings, download our guide through the link below. A number of factors go into designing a successful corrosion prevention program. Choosing the right corrosion resistant coating is only one of them. Another, which will determine the longevity of a corrosion prevention system, is maintenance. When the right industrial coating is chosen, and maintained, corrosion can successfully be stopped from damaging your asset. Corrosion services should be catered to your specific needs. Sacrificial and barrier coatings have been engineered to excel in specialized circumstances and to respond to a number of very specific environmental pressures. A project’s specification sheet should address any special circumstances surrounding an asset, including any extreme pressures it should expect to encounter and whether or not a corrosion resistant coating will need to account for. Here’s where it may not be a bad idea to enlist the services of a NACE-certified coatings inspector to view an asset before it’s coated. This will help to determine what properties will be required from a coating, such as whether a highly corrosive environment will necessitate a urethane topcoat rather than an alkyd, for instance. The number of possible environmental stresses, and the coatings that could stand up to them, are numerous. That’s why it’s often a good idea to have a professional inspection before selecting a coating. Once a generic coating type has been selected, it’s important to consider where the product comes from. Many manufacturers will cut corners on the way to producing what many qualify as an “epoxy primer” or a “polyurethane finish”. Inferior resins and cheap fillers and extenders are shortcuts that can yield a less expensive product at the expense of performance. Having your asset examined by a coatings specialist beforehand will also help with that all-important second step in keeping corrosion at bay: a well thought out maintenance plan. The worst possible time to discover your corrosion prevention system has let you down is when an asset fails. And protection from corrosion is, unfortunately, not a one-and-done process. The elements degrade. Chemicals erode. Moisture seeps in. These are realities as certain as death and taxes. But, with a coatings maintenance plan in place, regular wear over time needn’t be a significant setback. A little spot coating as a part of a regular coatings maintenance plan can prevent the spread of localized corrosion and keep the need for a full-blown recoat years in the future. And that’s not the most significant reason for having a maintenance plan in place. A full-scale failure as a result of damage caused by corrosion could be catastrophic. Leaking chemical pipelines and unsound structural steel threaten lives as well as financial stability. We’ve seen already how much corrosion costs the economy, and regular coating’s maintenance is a one of the best fundamental strategies we have for bringing those expenditures down. When corrosion is allowed to proceed to the point of taking an asset out of commission, that’s corrosion at its most expensive, not to mention its most dangerous. We’ve discovered more than a few effective methods for protecting steel from corrosion. Some methods have been in use for longer than others, some are better for the environment than others, and all of them entail certain tradeoffs as far as performance, price and material properties are concerned. The corrosion services you receive need to reflect the conditions your assets endure. Environmental factors such as acid rain, humidity, chemical salts, oxygen and high temperatures are all factors that can affect the pace of corrosion. It’s best to control for these factors where possible, but this is often impractical or downright impossible. For more reliable methods of corrosion prevention, more active solutions are called for. While many methods of corrosion prevention have been tested out over the years, a couple of them have emerged as among the most effective. Corrosion resistant coatings are among the most reliable and cost-effective methods for fighting corrosion. For reasons of chemistry, coating structural steel in gold would probably be fairly effective in protecting it from corrosion. But for more obvious reasons, this is not a widely used method of corrosion control. Within the realm of protective coatings, a few strategies have emerged as particularly effective corrosion services. It’s no coincidence that two of them, barrier and sacrificial coatings, are among the coating services that we specialize in. Sacrificial coatings tend to make excellent primers. These unselfish coatings usually take the form of an extremely thin layer of metal, such as zinc or nickel, which is known to corrode preferentially to steel. These coatings are applied directly to a ferrous metal, usually steel, in order to steer the corrosion process in a direction that is ultimately not harmful to the asset by “donating” an electron to the substrate to make its charge unfriendly to the corrosion process. Zinc primers are excellent examples of sacrificial coatings. Though they’re meant to corrode preferentially to the asset, the rate at which they succumb to corrosion is slower than many other sacrificial coatings, leading to longer intervals before a recoat is necessary. When combined with a topcoat system that offers excellent barrier properties, sacrificial primers form part of a system with proven success in fighting corrosion. Barrier coatings are probably the products that come to mind when most people think of industrial coatings. These are the products in charge of keeping oxygen and moisture from a substrate and protecting it from harmful chemicals, including soluble salts. Different environments stress barrier coatings in different ways. In areas experiencing prolonged exposure to sunlight, a high UV-resistant coating will be a priority. In marine environments, a coating’s ability to protect against soluble salts and their corrosive effects will be especially important. In chemical factories and other processing facilities, where harsh and reactive materials are an everyday reality, good chemical resistance will be a necessary property. Given the wide array of elements barrier coatings must protect against, it’s a good thing they’re not working alone. When combined with a sacrificial primer, and sometimes an intermediate barrier coating, a good barrier coating is part of a system that effectively fights corrosion. But it’s important to know exactly which system is called for given an asset’s environmental circumstances. That’s why we offer on-site surveys as part of our corrosion services. The nation’s crumbling transportation infrastructure, and the lack of funding it receives, is making headlines on a daily basis these days. While there are many causes for collapsed bridges, potholed highways and inefficient railway networks, one natural phenomenon stands out as a threat to nearly every sector that falls under the umbrella of “America’s transportation infrastructure problem.” The National Association of Corrosion Engineers (NACE) estimates that corrosion costs the U.S. economy $276 billion annually. More than just something unpleasant to look at, corrosion represents a serious drag on the economy and a danger to human health and safety. It is a natural, albeit preventable, process that’s spawned an entire industry dedicated to battling it. Corrosion services have become an important part of maintaining steel and iron assets. Broadly, corrosion is defined as the naturally occurring degradation of a surface (usually a metal), when exposed to the atmosphere. A more relevant definition for our purposes concerns what happens to iron, a major component of steel and the most commonly used alloy in infrastructure, when it is exposed to the elements. When iron is exposed to oxygen and moisture, an electrochemical process known as oxidation occurs. Oxidation results in iron oxide, or rust, forming on the metal’s surface and corrosion begins to set in. As long as steel remains an integral component in the makeup of the country’s transportation infrastructure, corrosion is not a problem that will disappear anytime soon. The many types of corrosion that can affect an asset add to the difficulty of protecting against it. Generally speaking, there are two, broad categories of corrosion: generalized and localized. As their names suggest, generalized corrosion attacks the entire surface area of an asset, while localized corrosion is limited to certain, often irregularly shaped, areas of a particular asset. Pitting corrosion– Pitting corrosion is the result of localized failures in a coating system. At these points of failure, small holes begin to form and increase in size if the problem is not addressed. Because pitting corrosion is more difficult to spot, and often occurs on assets that owners consider adequately protected, pitting corrosion is much more likely to progress to the point of seriously degrading the integrity of an asset, making it a far more dangerous type of corrosion. Crevice corrosion– Also sometimes called “contact” corrosion, crevice corrosion occurs in those micro-spaces where two different materials overlap or otherwise touch one another. This could be a metal-on-metal or metal on a non-metal point of contact, but it usually occurs around bolts, gaskets, washers, clamps or other fastening devices that form small spaces where corrosion process can begin. Filiform corrosion– Filiform corrosion occurs when moisture is allowed to penetrate the small gap between a coating and the substrate, usually at a natural edge on the substrate or at a defect in the coating system. This type of localized corrosion is often distinguishable by bubbles forming beneath the coating. The most successful method for controlling these types of corrosion involves the one-two-punch of an effective prevention strategy and diligent upkeep of that means of prevention. Coatings frequently take their name from the binder, or resin, from which they’re made. Epoxies, alkyds and urethanes are all examples of resins that give a coating their name. But these aren’t the only parts that make up a coating. In addition to additives, which can lend a coating certain performance properties, and the pigments that lend color, coatings also contain an element that dissolves it all into a liquid for easy application. This liquefying agent typically takes the form of water or some other chemical solvent. Hence the terms “water-based” and “solvent-based”. Which type of product is right for the job will depend on the circumstances. Generally speaking, one is not better than the other, but they do perform differently in different situations. Ideally, both options will exist side-by-side in a coating professional’s arsenal. Water-based paints make up about 80 percent of household paints sold today according to the Paint Quality Institute, a paint advising and testing organization. There’s no doubt this is in large part due to one of the main attractions of water-based products, whether it’s an interior house paint or heavy-duty protective coating: fewer odors. When working in confined or poorly ventilated spaces, the evaporation of solvents can be uncomfortable for workers or even flat out hazardous to their health. For this reason, many projects like those involving fuel storage tanks and railroad tank cars make use of water-based coatings. These also reduce the concentration of flammable materials that build up in a confined space. That does not mean, however, that the use of water-based coatings negates the need for OSHA approved confined space safety measures. Environmental compliance is another common reason for choosing to use a water-based coating. Many solvents evaporate into what are known as volatile organic compounds, or VOCs. National, state and local governments often regulate VOCs by limiting how much businesses are allowed to emit in a given timespan. The EPA sets national rules for VOCs, but some states have tightened restrictions even further, necessitating concerted efforts to limit their emission. Water-based coatings don’t necessarily contain zero solvents, though. Many contain what are called co-solvents, solvents present in lower concentrations and meant to help push the rest of the water out of the coating as it dries. But since water-based coatings have either no, or considerably less solvents, they are a great way to lower a business’s VOC output. For some companies, this can mean spending less on environmental compliance advising. Or keep them from paying significant fines for exceeding VOC quotas. Solvent-based paints are made up of liquefying agents that are meant to evaporate via a chemical reaction with oxygen. Typically, moving air surrounding a solvent-based coating will help to speed up the reaction, reducing drying times. These coatings have one major advantage over water-based coatings. They are less susceptible to environmental conditions such as temperature and humidity during the curing phase. Humidity can actually prevent the water in a water-based coating from evaporating, making them impractical in some climates. Water-based coatings also present a challenge to the surface prep stage of a coating project. Water, while a promising substitute for solvents in some situations, is also a key component of the corrosion process, the entire reason for the industrial coatings industry in the first place. If water makes contact with the substrate before the coating is applied, spot rusting may begin to occur. In order to ensure that this is not the case, water-based coatings must be formulated so that all the water is drawn out through the surface film before corrosion can occur. This is not a consideration with solvent-based coatings. So, in summary, though water-based coatings may be a good option for jobs involving confined spaces and continuous coatings use, they’re not without their weak spots. Jobs in open, humid conditions, such as those often found in infrastructure recoating projects, can still benefit from the right coating. If you would like to discuss which type of product might be best for your project, we’d love to hear from you. Get in touch with US Coatings today. Or, if you want to take a look at our full product line first, download our product catalog below. Following a call with an insurance firm or a company auditor, many owners simply don’t know where to turn to put a fireproofing plan in motion. As with writing any type of paint specifications, they tend to turn to one of three sources: an engineering firm, a trusted contractor or a supplier of fireproofing coatings. Unlike with general paint specifications, fireproofing projects are highly specialized and it’s important that an owner fall back on an individual or firm with extensive experience with similar projects. If engineering firms have an in-house fireproofing expert, they can be a valuable resource in devising a plan. If not, a customer may wind up paying an engineer to outsource a job, a step that could undoubtedly be skipped to reduce costs. The same holds true for applicators. If they are unfamiliar with the products on the market, or even how they’re best applied, they will likely need to seek outside advice themselves. In the end, a industrial coatings supplier will likely have the best understanding of the fireproofing products they supply. For US Coatings, that means having an in-depth understanding of Albi fireproofing paint specifications, the fireproofing product we carry. Experience should once again be a factor. If a supplier only recently began carrying a fireproofing product, and has little idea of how they behave, best practices for application and no suggestions for preferred contractors, it may be best to continue shopping for an expert with more experience that still remains within the project’s budget. Regardless of which path is pursued, owners should expect a few things from an initial facility audit. It should come with detailed notes and photographs explaining the fireproofing measures to be undertaken in each section of the facility and why. It should include budgetary projections so that owners know what they’re paying for at each stage of the project. It’s also helpful if the expert is able to offer recommendations on applicators that have performed good work in the past and have experience with fireproofing facilities; this is where a strong working knowledge of intumescent paint specifications is essential. The best reports following an initial audit will provide an owner with the peace of mind that comes from knowing how to proceed. Though a steel fireproofing project may have been mandated from an outside source, this document should alleviate any panic that comes from not knowing how to move forward. US Coatings is a supplier of a full line of Albi fireproofing products. Easy application of these single-component products makes them less expensive to apply, typically closing any gap in cost between an intumescent solution and a lightweight cementitious one. We also have the in-house fireproofing expertise. Full facility audits provide owners with all the knowledge they need to move forward with a fireproofing project with confidence. It’s part of our promise to be more than just a paint and coatings supplier. So whether industrial fireproofing is an unexpected project that needs to be dealt with immediately, or a facility safety measure that’s been put off for far too long, we’d be happy to be your first step. Follow this link and get in touch with US Coatings today. Want to learn more about fireproofing? Download the guide below for our full guide to fireproofing your assets. Passive fire protection tends to fall into one of the following three categories: dense concrete, lightweight cementitious and intumescent coating. They are not all created equal. Recently, cementitious coatings have become less relevant to fireproofing a facility. As technology has progressed, intumescent coatings have superseded earlier methods of passive industrial fire protection as the most successful and cost-effective. Some of the reasons for that are discussed below. The potential of concrete as a fire-resistant material was recognized long ago. Many refinement facilities constructed prior to World War II made extensive use of dense concrete as a means of protecting against fires. The material is inexpensive and was known to withstand even extremely high temperatures. Problems quickly emerged, though. Concrete is heavy, which led to the need to over-specify structural steel. It also meant high labor costs, since forming concrete around steel is a laborious, multi-step process. It was also found that rapid cooling following a fire event leads to cracking in concrete and in some severe cases compromises the structural integrity of the material. This damage is sometimes difficult to detect and could become a danger to those working in the facility. Dense concrete as a means of fireproofing has largely been abandoned in favor of more recent techniques, which offer superior performance and fewer drawbacks. Lightweight cementitious fireproofing retains the benefit of being based on inexpensive raw materials and without the problems associated with extreme weight. As its name suggests, the material is significantly lighter than dense concrete and so doesn’t require the over-specification of structural steel. But lightweight cementitious fireproofing retains the high costs of labor associated with dense concrete. It must be applied in several successive coats, again driving up labor costs. These products also share their predecessor’s tendency to crack. Perhaps the biggest liability with a cementitious coating, though, is the inevitable creation of space between the coating and the substrate. This space has a tendency to collect moisture, which in turn fosters corrosion of the substrate. In the long run, this unfortunate flaw can actually cause a lightweight cementitious coating to work against the integrity of the asset it was meant to protect. Intumescent coatings work by charring and expanding in the presence of extreme heat. The increase in volume and subsequent decrease in density slows the heating of the substrate, increasing the time before the steel itself begins to melt. Intumescents typically swell to 25 times their original thickness when engulfed in flames. This expansion allows them to provide a barrier between the flames and the steel that is exponentially larger than a coating that does not swell. Adding thickness to an intumescent coating application increases the amount of swelling that will occur in the case of a fire incident. For example, if a 350 mil coating of a given intumescent has been determined to have a fire rating of 1.5 hours, 700 mils would theoretically be necessary to achieve a fire rating of 3 hours. In reality, though, added thickness is sometimes specified in certain areas such as curves and crevices, so something like a thickness of 750 mils may be required in order to achieve a 3-hour rating. When intumescent coatings come in single-component formulas, they are much simpler to apply than dense concrete and lightweight cementitious coatings and are therefore accompanied by far lower labor costs. Additionally, since they are applied directly to steel, no gap is created in which moisture can sit and incite corrosion. Intumescent coatings fight corrosion in much the same way as traditional protective coatings, the difference being their ability to swell and the much greater thicknesses at which they are initially applied. With all of the benefits of intumescent coatings combined, it’s our recommended method of fireproofing steel. Still have questions about fireproofing? Download our fireproofing guide below or talk to a NACE-certified professional today by clicking here. For some industrial facilities, fireproofing is a prerequisite for holding on to the facility’s insurance, at least at rates resembling anything close to affordable. 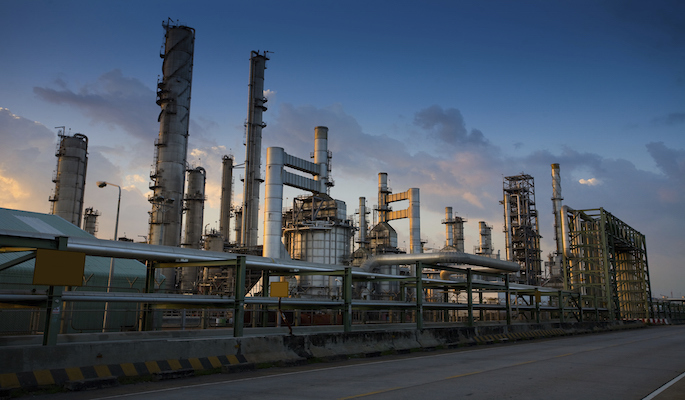 Many owners of refineries, petrochemical and oil and gas facilities that contact us have just received a call from their insurance companies. They’ve been told that in order to keep their current plan, measures would need to be taken to ensure the facility has adequate industrial fire protection. Throughout the refinement process, regardless of the desired final product, various flammable liquids and byproducts move along a network of pipes supported by structural steel. Pipe racks, refinement vessels, steel supporting structures, any construction which could potentially be exposed to a fire, and which could collapse before the fire is brought under control, will likely be designated for fireproofing. In the event of a fire, the flammable liquids at the heart of a business can quickly become the fuel helping to burn it down. Active industrial fire protection like foaming and sprinkler systems should kick in to battle the fire, but these measure are often meant only to slow a serious blaze. While industrial fire protection via fireproofing is certainly a good idea—it can be the difference between a damaged facility and one that has suffered a total collapse—fireproofing steel mandates are usually followed up by very little in the way of specific direction. If the insurance company is pushing for a plan to be in place immediately, fireproofing can be a stressful experience. Some areas that now need to be fireproofed may never have been fireproofed before. For other areas, it may have been years since fireproofing was last performed. Perhaps the facility has changed ownership by then, or the previous facility manager has moved on, leaving no personnel with fireproofing experience. Even auditors touring your facility, though they may have strong opinions on what sort of fireproofing work needs to be performed, will offer no clues as to how the work should be performed. As firefighters and active industrial fire protection systems battle the blaze, passive fire protection can buy valuable time for structural steel that would otherwise become distorted under such extreme heat. The purpose of passive fire protection is to protect this structural steel only for a given amount of time, until the fire can be extinguished. 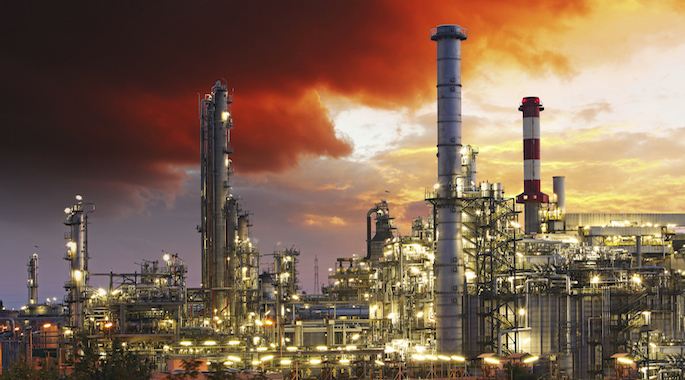 Refinery fires sometimes reach temperatures upwards of 2,000 degrees Fahrenheit; hot enough to melt most structural steel alloys. Passive fire protection methods such as intumescent coatings are measured according to the time they have been proven to withstand these heats with the laboratory. Independent safety science companies, such as the Underwriters Laboratories (UL), provide third party testing of fireproofing coatings and then rate the products according to how long they are able to withstand the heat of the flames. Insurance auditors will specify a necessary minimum time rating for an asset based on its use, susceptibility to fire and the anticipated difficulty of extinguishing an outbreak. The most common rating is 1.5 hours. Higher ratings can be achieved by adding mil thickness during application of the coating. UL 1709 is the standard most commonly applied to heavy industrial fireproofing products. Still have questions about industrial fire protection? Download our guide to industrial fireproofing below or click here to speak to a NACE-certified professional today. Independent coatings sales reps are becoming something of a dying breed in industrial coatings these days. As a few companies rise to global standing, they are becoming increasingly obsessed with preserving margins on the sales side in order to compensate for the astronomical overheads required to maintain a shiny, global brand. Meanwhile, talented independent salespeople– each with their own stuffed Rolodexes (or a modern equivalent), industry expertise and entrepreneurial spirit– are being pushed to the side or absorbed into low-paying positions with almost non-existent sales incentives. In place of the independent sales model, a few different strategies are emerging. National and international coatings giants are making efforts to formally bring independent salespeople into their employ, choosing to not provide commissions that make a salesperson a living commensurate with their talents. Still other coatings manufacturers are, and have been for some time, erecting brick and mortar locations in their operational areas and having dealers work from these shops alongside the armies of employees that man the shops. It has the same effect of reducing or eliminating commissions for sales and, I suspect, removing any incentive for above-and-beyond salesmanship. This distribution model is still practiced on a much smaller scale by independent sales reps, but more and more large manufacturers are pulling their products from these reps to keep from having to divvy up margins. The products still being sold by independent reps now tend to come more from niche manufacturers. Perhaps this is part of a larger movement in the United States and elsewhere, where all possible efforts are made to concentrate profits at the summit of the organizational pyramid. Major industrial coatings brands are now confident enough in the esteem of their global brand that they no longer invest much on the sales side. They let their product’s labels do their selling for them. It is possible, even still, to find another mode of operation (and full disclosure, this is the one that I have always envisioned for my own business). This model is based on nimble, responsive salesmanship. It is a global network, without the overseas offices. It is a web of talented, independent salespeople with their own contacts, experience and incentive to sell. The independent sales model keeps all of the manufacturing capabilities without the overhead that comes with putting the brand name above everything else. And lower operating costs free up space for higher commissions. Higher commissions in turn attract a more driven, talented sales force. There may be fewer and fewer players in industrial coatings who operate by this model, but that just means a deeper talent pool. For these companies, locating seasoned independent salespeople represents the biggest challenge and the biggest opportunity to challenge established industry megabrands. The independent salesperson may be an endangered species, but for emerging coatings companies, they represent a mutually beneficial opportunity to seriously grow sales volume. We’re always looking for talented, experienced independent sales reps to partner with.